"At one time, I described myself as a cook, a driver, and a writer. I no longer drive, but I do still write and I do still cook. And having reached the delicious age of eighty-one, I realize that I have been feeding other people and eating for a long time. I have been cooking nearly all my life, so I have developed some philosophies." Renowned and beloved author Maya Angelou returns to the kitchen--both hers and ours--with her second cookbook, filled with time-tested recipes and the intimate, autobiographical sketches of how they came to be. 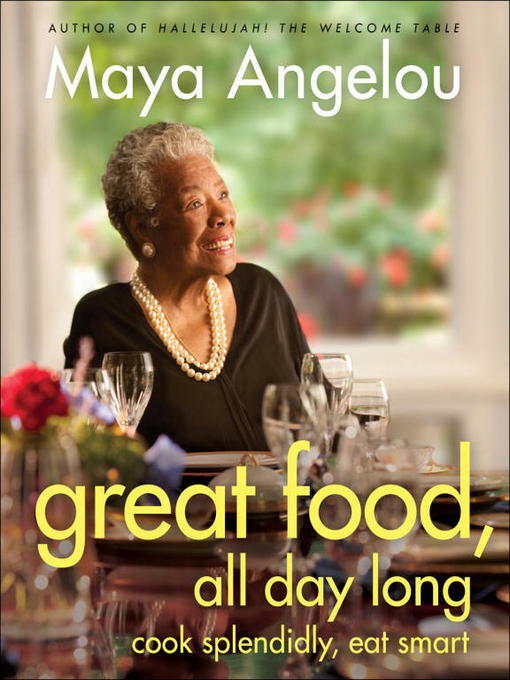 Inspired by Angelou's own dramatic weight loss, the focus here is on good food, well-made and eaten in moderation. When preparing for a party, for example, Angelou says, "Remember, cooking large amounts of food does not mean that you are obligated to eat large portions." When you create food that is full of flavor, you will find that you need less of it to feel satisfied, and you can use one dish to nourish yourself all day long. And oh, what food you will create! Savor recipes for Mixed-Up Tamale Pie, All Day and Night Cornbread, Sweet Potatoes McMillan, Braised Lamb with White Beans, and Pytt I Panna (Swedish hash.) All the delicious dishes here can be eaten in small portions, and many times a day. More important, they can be converted into other mouth-watering incarnations. So Crown Roast of Pork becomes Pork Tacos and Pork Fried Rice, while Roasted Chicken becomes Chicken Tetrazzini and Chicken Curry. And throughout, Maya Angelou's rich and wise voice carries the food from written word to body-and-soul-enriching experience. Featuring gorgeous illustrations throughout and Angelou's own tips and tricks on everything from portion control to timing a meal, Great Food, All Day Long is an essential reference for everyone who wants to eat better and smarter--and a delightful peak into the kitchen and the heart of a remarkable woman.